For the past 100 years, Masport has helped Kiwis get the most out of their backyards, so it’s no surprise that the iconic Kiwi brand was recognised twice at this year’s Reader’s Digest Most Trusted Brand awards. 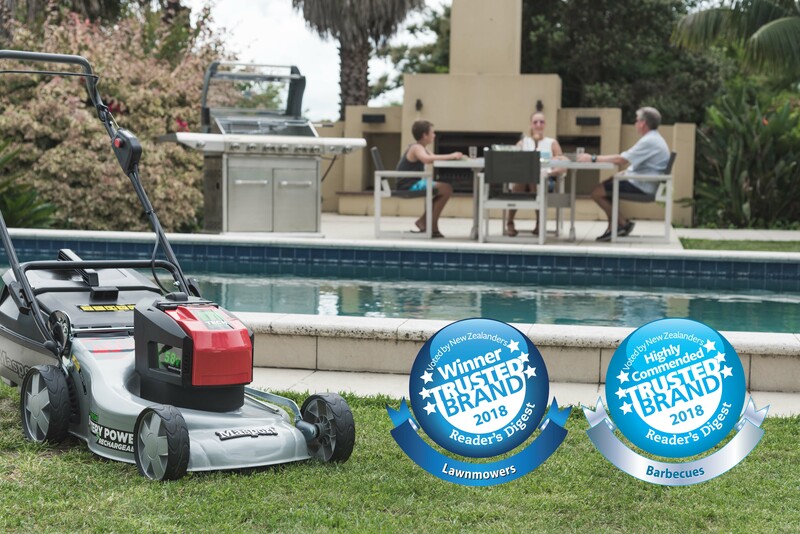 Masport took out top spot in the lawnmower category and was also highly commended as New Zealand’s second-most trusted BBQ supplier. Masport general manager Steve Hughes said it was humbling to once again be recognised by Kiwi consumers. “We were named Most Trusted in the Gardening Equipment Division for five consecutive years from 2011 to 2016. This year they’ve broken that down into individual categories and we’re delighted to be back in the winner’s seat,” said Mr Hughes. Asked why they trusted Masport so much, one respondent said it was because his mower had never let him in down in 22 years. Others remarked that it was because their grandparents and parents had always bought Masport equipment, that they were proud of the company’s Kiwi roots and that Masport gear never failed to get the job done. Mr Hughes said that Masport has come a long way since the disastrous launch of its first lawn mower. “It was assembled in a blackened shed in a secret location. Once it was finished, the team took it across the road to go into production but it fell apart on the way because some of the bolts weren’t properly secured, and was run over by a truck!” he says. Reader’s Digest commissioned Catalyst Research to survey a representative sample of 1,411 New Zealand adults on their most trusted brands in 65 categories of products and services across a broad range of industries. Brands included were generated by asking New Zealand consumers for their most trusted brands. This was an unprompted question to ensure the rating of top brands in each category, as selected by New Zealanders without prejudice. For further information, please contact marketing@masport.co.nz (ph. +64 9 571 5888).